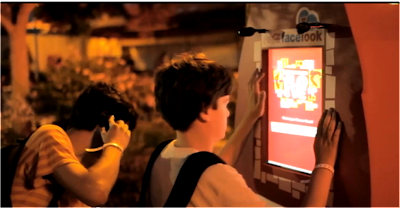 Last year Coca-Cola introduced Real world Liking to the Coca-Cola village in Israel. Visitors to the Coca-Cola village could use an RFID bracelet to Like things in real life and automatically have them posted to Facebook. Billed as a 'real life posting app based on face recognition technology by Face.com', the Facelook application enabled users to post comments and pictures to their Facebook walls using only their face as identification! our mobile applications section Other preferred apps consist of Galaxy Official Site the actual check in XFINITY Email page to validate that you are utilizing. face lock is really good and innovative features.